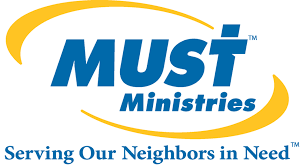 MUST responds to God’s call to serve the needs of the poor and troubled. 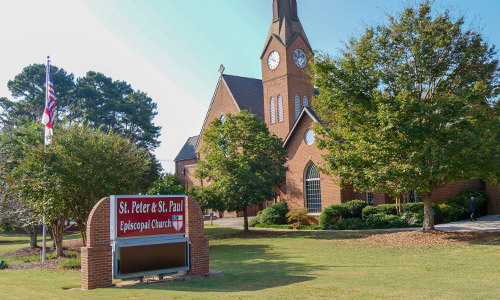 MUST is an organization supported by St. Peter & St. Paul and numerous Cobb County churches of various denominations. In a typical year, MUST helps 36,532 people with emergency groceries; 22,036 with free clothing; 590 with job placement; 2,672 with medical care; 5,237 children with clothes, school supplies and gifts; 2,373 people with emergency and transitional housing; and serves 64,882 hot meals. We provide breakfast at MUST every Friday throughout the year. Contact Tom Martin at ttmartinhome@gmail.com. 5th Wednesday MUST lunches from 10:00am-2:oopm. Contact Carol Bowser at carolbowser@comcast.net. 4th Tuesday and the 5th Thursday morning breakfasts throughout the year at MUST Elizabeth House. Contact Tom Martin at ttmartinhome@gmail.com. MUST summer lunches program makes thousands of kids’ summer lunches – join the happy band on Sundays in the summer. Contact Jan Copeland at jccopeland@comcast.net. We also run a clothes closet that transfers all unused clothing items and shoes to MUST every two weeks. New team members are welcome! Contact Tom Martin at ttmartinhome@gmail.com.